Enthusiasm was high as businesses came together with politicians and community leaders to launch a new conversation on city branding for Stoke-on-Trent and the North Staffordshire conurbation. 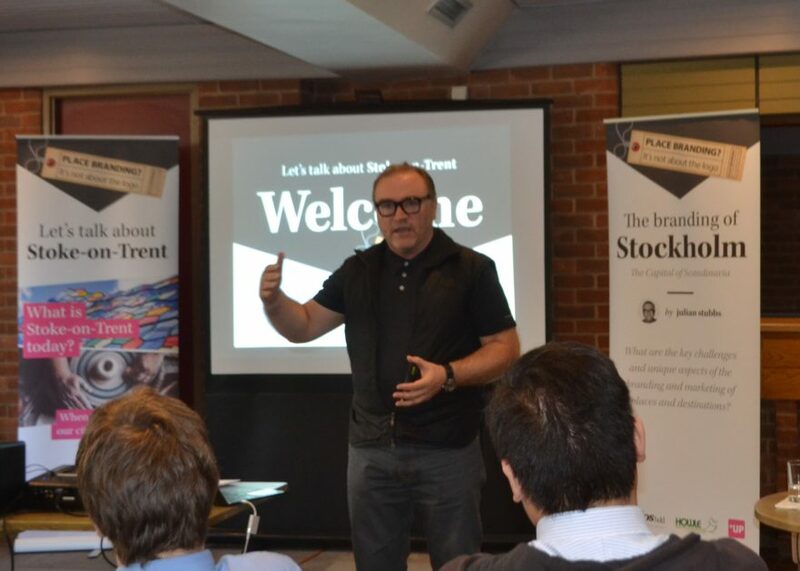 The Let’s Talk About Stoke-on-Trent event, organised by Exesios BDD and Howle Communications, was designed to harness enthusiasm for a new look at how the city is marketed and sold as a destination. The keynote speaker was Julian Stubbs, an international expert on Place Branding, who set out the planning strategy necessary in building a city brand. Julian has worked in partnership with city’s including Stockholm and Liverpool on their branding and offered to speak in North Staffordshire after his company UP There Everywhere signed an agreement with Trentham Lakes based Exesios, appointing them as UP’s North of England design agency. The success of the project has led to economic growth and has produced a sense of identity and pride for the city region and Sweden. Paul Brammer, Managing Director, at Exesios said: “It was fantastic to be able to bring Julian to our city. His talk was entertaining but stressed the meticulous strategic work needed to ensure everyone from politicians, business, the arts, tourism and community groups buy in to the place branding process. “It is clear that there is passion and goodwill out there and now we need to assess whether stakeholders are willing to pick up the ball and run with it. “Significantly, we were joined at the event by Cllr Abi Brown, Deputy Leader of Stoke-on-Trent City Council, David Frost, Chair of the Stoke-on-Trent and Staffordshire Local Enterprise Partnership and culture and tourism expert Paul Williams, a major figure in Stoke-on-Trent’s recent City of Culture bid.